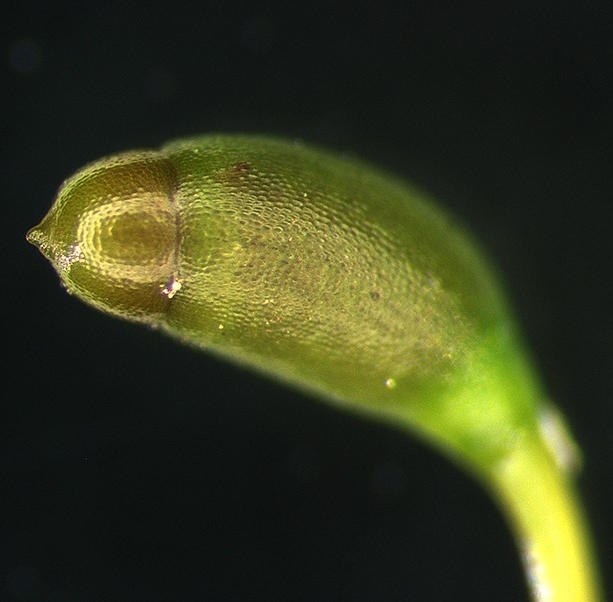 Ptychomnion aciculare - The developing embryo has here split the archegonium at its base where a short stalk (seta) can be seen. The fine thread-like structure at the tip is the archegonium is archegonium neck. Ptychomnion aciculare - The steta elongates carring the top half of the archegonium, now called the calyptra, upward. 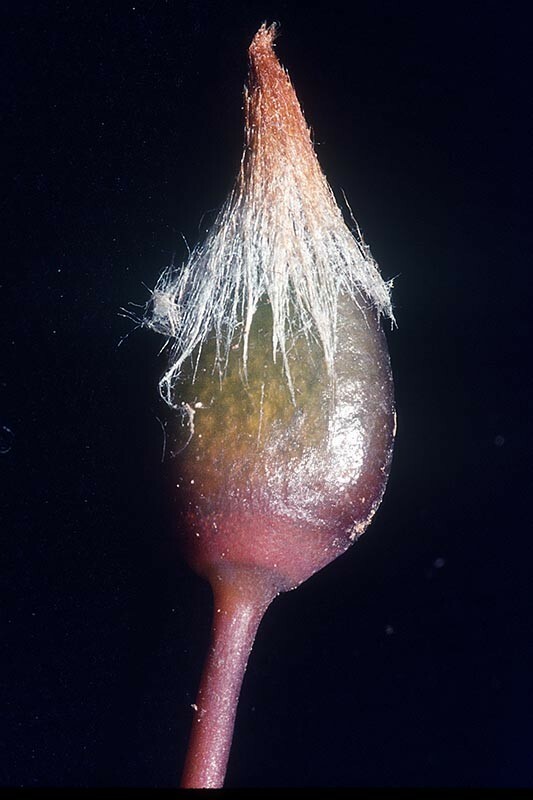 A capsule with spores develops at the tip of the seta. 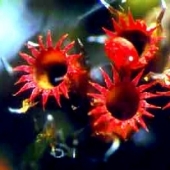 The calyptera and operculum vary in size, longevity and shape, providing a useful characteristic in distinguishing different mosses from one another. 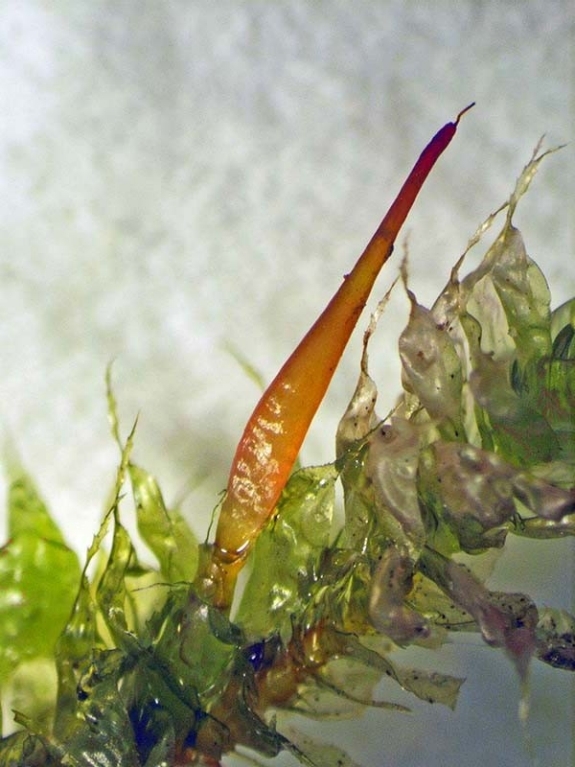 Psilopilum crispulum - In this moss the calyptera covering is smooth and splits open along one side, exposing a conical operculum at the top of the capsule. Dawsonia superba - The calyptra of this moss is covered with hairs. Macromitrium longipes - In this genus the calyptra splits open around all sides forming a pleated or fringed hood over the capsule underneath. Camptochaete pulvinata - In this genus, the capsule lid is short and rounded, abruptly terminating in a sharp projection (apiculus). 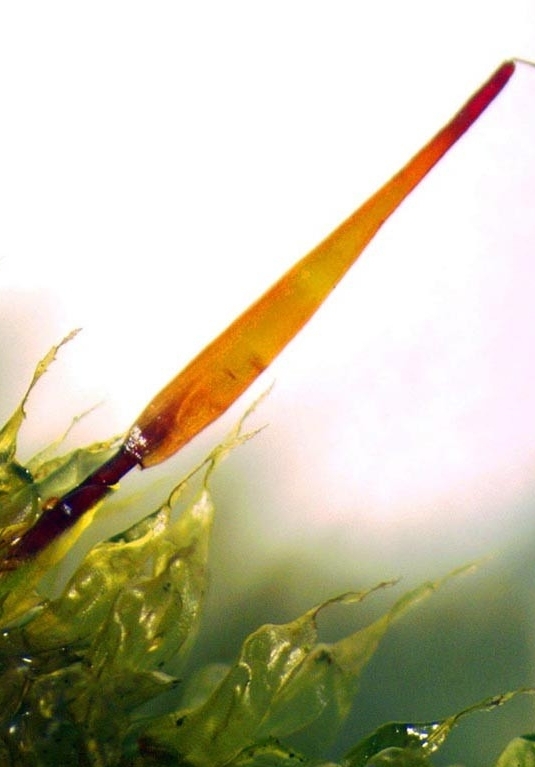 See Find by Genus page for more on this group of mosses. 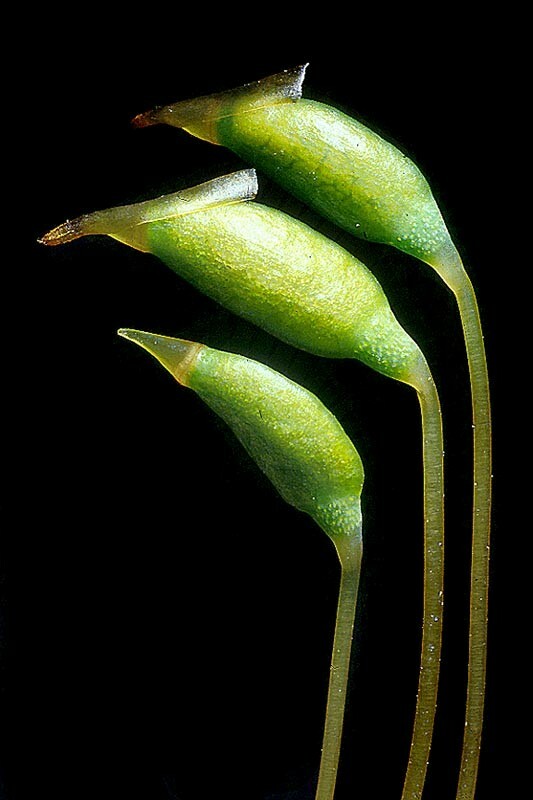 Macromitrium longipes - If the calyptra is removed, the capsule lid (operculum) can be seen. In this genus, the operculum is long and tapering.